While one boy is offered the benefits of a good education and a sheltered home life…he learns little of real life except through others, while his brother learns life the hard way–through experience. Life, choices, opportunity, and success. It all affects our work life to be. The choices we are able to make in terms of education and training, as well as our personal and professional development make us who we are. Some of us are workers, trainees, students, teachers, trainees, managers, leaders, but how did we all get there and how do we manage our future. That is the crux of the issue I want to discuss. This is a follow-up to my previous article on Hybrid Education. Even though my focus is from a training perspective, I consider myself an educator and trainer as well as a communicator. 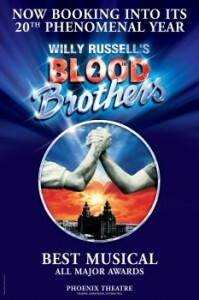 I just reviewed a play by Willy Russell called Blood Brothers. It was a good play–an unusual musical actually that talks about what happens when twin boys are separated at birth and go on to live very different but supposedly separate lives. “One is given away and one is kept,” in more ways than one. The play is also about class struggle or put another way obstructing the class system. One boy is offered the benefits of a good education and a sheltered home life. While he has the benefits of such, he learns little of real life except through others, while his brother learns life the hard way–through experience. Blood can’t overcome the differences, and the situation for the brothers who do meet unaware they are related and become friends–blood brothers at age seven–ends in tragedy at 25. Enough theatre. It is all about nurture versus nature. Or is it? At one time, just because you were of noble birth, you would automatically be considered a success in life; the world would fall at your feet. Today that is not the case, but close. My life, while not as dramatic as the lives represented in the play, affected how I became what I am. It could have gone another way, but I was lucky. Many of the friends I grew up with never went to college or never finished; their lives are different but not necessarily better or worse. I learned that being common only depends on my definition of it and how I feel about it–whether I regard it at all. Perhaps that’s very American, but as everyone says at one time or another: “if I only knew what I know now.” Today we are older and wiser, hopefully. I’m going to tell a story–a short one I hope–to give some perspective to my own situation. I never went to Yale or Harvard, or Wharton, or the United States Military Academy (as a student), or even attended a private school for college prep. My parents had no money and plenty of dysfunctional issues. We all have issues, but that’s life. You can’t help who your parents are, and I am not ashamed. We may not have made much money, but they made me. I survived and learned, and I will continue learning. Are you still with me? What does this have to do with training? A lot on the audience analysis side and a little on a very basic scale of what you need to do the job: the ABCs, Six Things You Need to Know, Tips, Tips, Tips, etc. 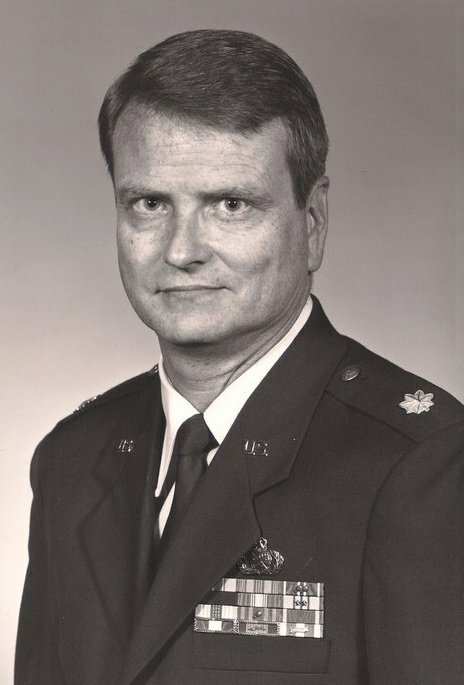 The hard way – Jack Shaw at the U.S. Air Force Academy, without a guiding hand. Education is a wonderful thing, but it all comes with catches–all of it. I was a poor kid with a lot of insecurity. I had no confidence to make it on my own anywhere. I hadn’t been anywhere. I had no support system. My life was based on what I knew at the time and only what I knew. I got lucky in high school. Grades were okay–not great; I didn’t care. Why should I? That’s what life as I knew it taught me. Later, I would discover I needed it, but four years after my enlistment in the Marines–my security blanket. Cost is a factor for most of us. Economic social disadvantages or advantages can determine where we are able to go to school and when. In fact, I was lucky to go to college at all. I was good enough as a psychology graduate student to receive a Fullbright Scholarship to the University of Sidney, but I was too afraid of survival in a totally foreign environment to accept it. Sure, people tell me now that was my ticket, but then? Instead I went back to a Midwestern university where I felt secure, missing out on all the opportunities of later success, just based on the fact I finished my education via the Fullbright. Earlier, unknown to me, the English department had put my name in to Iowa State where they have a famous writing program for a scholarship, which I was awarded, as well as a teaching assistant position. I didn’t take it–perhaps ironically because I was planning on graduate school in bio-psychology. After graduating with a Bachelors and taking graduate courses in psychology at a local university, I went into the Air Force for the security–this time at least going to officer training school. That’s not the end of the irony. Because I was educated at a large Midwestern University and had enough undergraduate hours in English, I was offered an opportunity to teach at the United States Air Force Academy, and the great thing for me: the Air Force would pay for my graduate education to do it. It was an opportunity I could afford to take. I had the security of the military–books and tuition paid for and I was paid to go to school. I chose the University of Missouri–if anyone cares–so I could visit my daughter who lived in the area, but personal issues made that a problem. It was close to home and secure even though I had the security of the military service. Still, it was a good school. According to the Air Force, I could have chosen any school where I could gain entrance, including Ivy League schools if I had wanted to. We all know about the publish or perish policy at most big or prestigious universities. Got to keep the alumni dollars rolling in. At regular institutions, there is an expectancy of behavior for student and faculty alike. I didn’t grow up knowing any of this. I didn’t know some professors were more equal than others. I had assumed our job was to teach, and at the Air Force Academy we sometimes train. It is perhaps ironic that I was the cadre commander for the Summer Survival Camp since I was learning about survival everyday. It seems I was late for everything. Late for education. Late to develop socially. I could date during high school–not real dates. I could get girls, but couldn’t keep relationships. I didn’t know how to behave until I saw others do it right. This happens in Blood Brothers, too. The point is that it is important to know how to talk to people for them to understand you and for you to understand them. It takes time. Now, I am a consummate observer of behavior. I also have a graduate degree in psychology and a dual interdisciplinary degree in performance criticism . It works–especially in training and communication. Sending and receiving information and interpreting it is learned. This is not to dig at the fine service institution or any of them. All schools have a structure not unlike any organization. Education prestige focuses more on the past than the future. Professors and instructors are not promoted on merit unless merit is publishing a paper that gives the institution a boost. It is not always the best leader or teacher who runs a department, but the one with the best credentials and tenure. All based on the past. The lesson here is not to focus on the past; it’s not efficient. Although a case could be made for competence due to the quality of education attained a the prestigious institution, but that could be argued based on the results demonstrated by students at the end of the education or training program. Sometimes, it is a bit ridiculous. Rules make it difficult, but humans pull through anyway. At the USAF Academy, I was forced to make sure my students followed the bell curve, regardless of the fact that most of my students came from the top 5 percent of their high school classes. It was presumed the bell curve was to be expected, but teachers made the most of it by modifying the bell to suit in most cases I hope. Most teachers gave the bulk of the students a “C” range, a few in “B” range, and very few “A”s. Too many would be noticed. The students earned their grades–although some were quite a bit taken aback by their loss of academic prowess since high school. Some even flunked out, more because of attitude than anything. Students who did well, did well in the Air Force or found themselves in exclusive graduate programs. I found it interesting that in spite of science, teachers found a way to look at individuals and adapt. You just didn’t talk about it officially, or you could lose your job. Working at a proprietary school later, I was pressured to give undeserved grades, which I wouldn’t do–but I did work harder and do extra work with these students to make it happen. Student financing rather than alumni was a motivator. Management didn’t pay me any more, but the students were served. I’d do it again because the cause was worthy. I did hate that the school was unaccredited and I had several students capable of real “university” work. All along I found I was learning character–especially as I watched these students struggle to get ahead of socio- economic barriers they faced that I had, too. I realized how lucky I was, and thus the experience became a character builder for me. Life comes in many packages and all influence who we become. For some of us, the struggle for success takes longer because we have more learn the hard way. But as in Blood Brothers, the play, one brother becomes a “waste” on the street so hard is his struggle–most based on ignorance, while the other steeped in quality of life becomes an innocent in the ways of the world. Both needed to be taught but circumstances of class and social economics prevented it. Is it any different today as you look at members of your audience. They come from all over. They are are at different places in learning about life, their opportunities, their futures. Don’t put them down. Raise their hopes and provide them the tools to get to the next level. Everyone it seems needs help and guidance. Early guidance is best. The right kind, of course, but sometimes it isn’t readily available. The next time as a trainer you look at your audience and do the appropriate analysis to know them, know also that this is why socio-economic characteristics are part of the program. It means more than the obvious lack of money and living in the wrong neighborhood. What if you were pampered all your life and were ignorant of reality? We learn from life, the world and institutions. Wouldn’t it be nice if we all agreed to help each other? Reality can be as selfish as individuals. Only individuals know better. My opinion is my opinion. I hope I haven’t offended anyone. My website is now http://actingsmarts-jackshaw.com. My focus is training and communication. I coach and train. For a look at the human side of training from my Cave Man perspective, please check out my book, The Cave Man Guide to Training and Development.